employee” exemption under the Fair Labor Standards Act. Any proposed changes are subject to the rulemaking process of the federal Administrative Procedure Act. The range of workplace changes brought on by the new overtime rule is expected to be released soon, possibly this week or next week. What Should Employers Do Now to Prepare? If the new regulations tighten the FLSA exemptions as they are anticipated to do, this may have a substantial impact on employers. Employers should start preparing for a complete review of exempt classifications under the new rules. This will be a large undertaking, and planning for the process should start now. 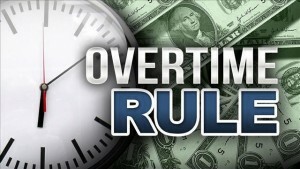 The number of employees who may be entitled to overtime is likely to increase. Employers should begin now to evaluate their tracking of employee work hours and consider how those tracking procedures may need to change to address any employees who are no longer exempt. Familiarize themselves with current exemption compliance criteria, i.e. Administrative, Executive, Highly Compensated Employee, etc. Make sure management has an understanding that proposed regulations are coming and will have a potentially disruptive effect on the business, i.e., may have to reclassify a large number of employees from exempt to nonexempt and may require examining compensation. Ensure current job descriptions accurately reflect job duties and convey the core functions and responsibilities of each role, particularly for exempt positions. Identify current exempt positions that may be in the gray zone between clearly exempt and clearly nonexempt. These roles may present the most immediate concern if, as anticipated, the new regulations significantly narrow the exemptions. Determine whether to have a zone within which employees close to the new threshold will get bumped up to maintain exempt status, or whether the approach will be to reclassify as nonexempt all employees whose current salary is below the minimum. For employees who probably will be reclassified, employers should understand now how many hours they are working per week so employers can model pay going forward with reasonable accuracy. Consider developing contingency plans for how the business will respond if the minimum salary threshold increases substantially. Determine your company’s approach in establishing work schedules and pay rates for employees converted from exempt to nonexempt. This change will require a review of all FLSA exemption classifications to ensure compliance. Employers should also prepare a communications strategy regarding the changes. Need help? Call us today (877) 356-6175.